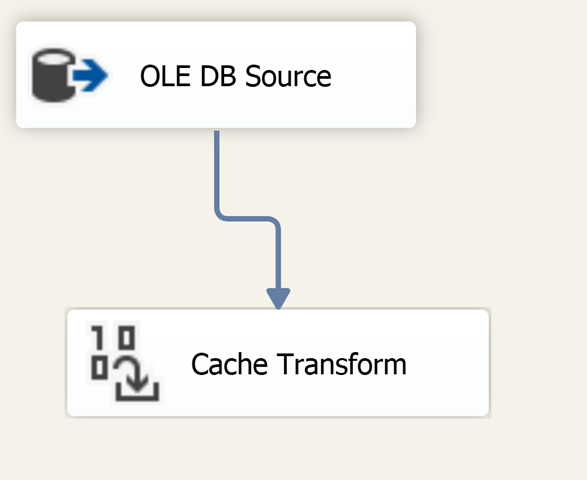 As a part of the project I’m currently working on, the development team is very enamored with the cache transform in SSIS. I consider myself pretty experienced with SSIS, and I’ve always stayed away components that come anywhere close to touching disk with SSIS, as I believe it slows down package performance. 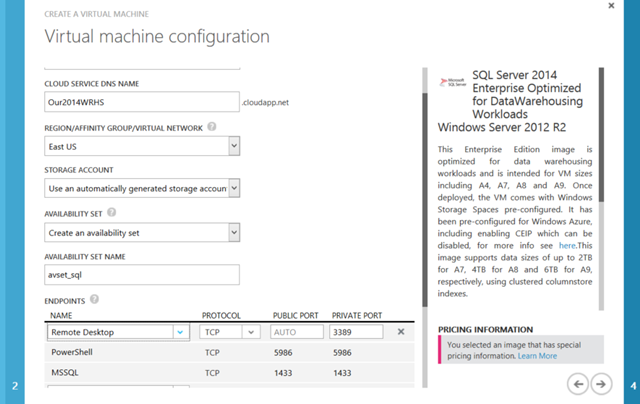 The cache transform component takes a query that you want (what you’re looking up) and saves it into a .caw file for SSIS to use in other locations. This is an alternative to the in memory record set destination as the result of transforms as well. As a use case, let’s say you have a customer dimension that every single fact table you load wants to reference. In the Kimball dimensional world, this would be your conformed dimensions. 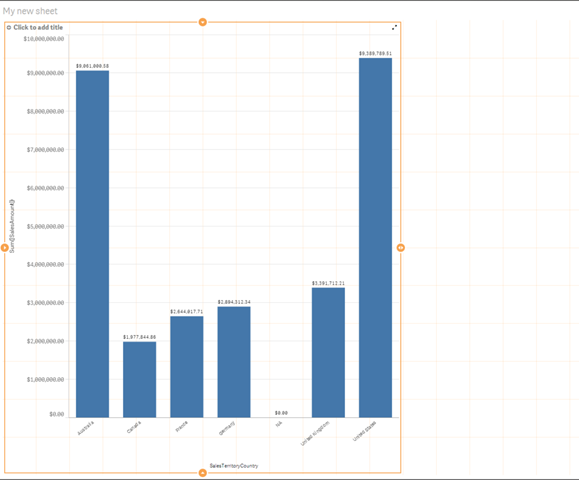 Do you really want to do the lookup on every package to that customer table, or would you rather save the customer records and have SSIS be able to retrieve it directly from the caw file? After much debate in the office, being the ever curious type I am, I decided to test the performance on this cache transform instead of doing the lookup on every package? Is there a point of diminishing return? Most of the time, we just leave it on the OLE DB connection manager, go to the next page, and input our command. However, there is also the cache connection manager we can use to connect. This tells SSIS to go find a cache file (what ssis internally calls a .caw file) and to use that instead of re-caching the records with every package that SSIS needs. For my example, I’ve created 3 tables: a customer dimension table with 1 million customers, a sales transaction table with 10 million sales in it, and an activity table which is tracking customer login activity to my website with another 10 million records. This is what we’d consider to be the “classic” approach for fact table loading. We’re pulling in the data from the source, doing the lookup to the customer dimension, and then replacing any null values farther down stream. Looking at the performance measures, the package runs these 10 million rows in 1 minute 32 seconds, which is pretty good. The lookup component in particular I’m interested in. It’s cached 1,048,540 rows and processed it in 0.391 seconds, using 37747440 bytes of memory (35.99 MB). That’s not bad. One thing to make sure of note here is that we are only pulling the lookup columns in that we need, not anything extra. This is very important for space, especially when we consider the memory SSIS is trying to use here. Ok, so that’s our classic approach. Now let’s try using this cache transform. 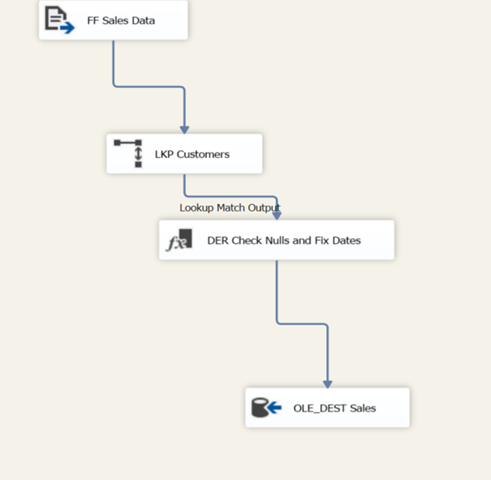 Alright, so now we go back to our data flows for sales and activity, and change the “LKP Customers” lookup component to a cache connection type instead of the OLE DB connection type. If you miss it, it’s on the first page under General –> Connection Type. 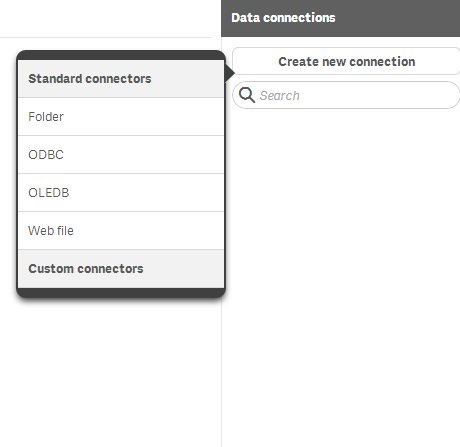 On the connection page, select the location where you stored the customer cache. 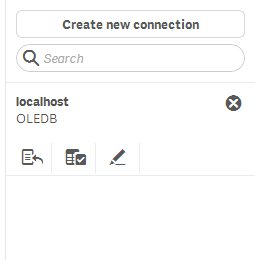 Click on columns, and make sure we’re mapping from CustomerNumber to customer_id. This should return our customer key. 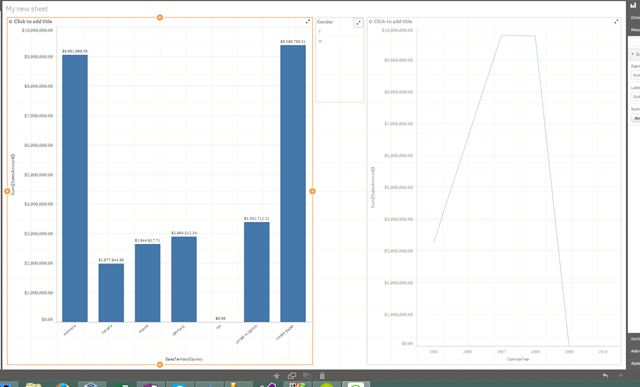 So our new look package doesn’t really look any different from the data flow level. But internally, we’ve told SSIS “don’t go cache those customers every time we need to do this lookup, I’ve put it in a cache file for you. It’s on disk at this location.” Each package that runs against the lookup still caches the data in memory, it just uses this cache file you’ve built instead of pointing to the database. It’s an interesting observation to me that overall using the cache transform doesn’t appear to give us any performance improvement gain. When running packages individually, it seems to add a few seconds to each run in order to be able to retrieve the proper results from disk. When running packages in parallel, it appears that you gain a few seconds of run time of the actual lookup packages, but do/may? lose that time again in the building of the cache. This leads me to the conclusion that it’s better to stick with the typical design pattern we see and pointing the lookup to your actual table. The issue I believe people would be tempted to use this in the first place is to prevent the occasional blocking while lookup queries are running. This is the third approach I’ve seen to solving this issue (the first being using NOLOCK as a query hint & the second being using a SNAPSHOT ISOLATION level). Use NOLOCK at your own risk. I think my personal preference after this is going to be continuing to use the SNAPSHOT ISOLATION level query hint in my query lookups. It just doesn’t seem that you’re really gaining anything with the additional development you need to do. An additional risk area that you have with building the cache files is that you now have potentially sensitive data stored in a cache file on disk. It opens up an entirely new area that you have to secure, protect, etc. So my results after everything are essentially inconclusive. I’m interested in hearing additional real-world scenarios where you the readers can think of use cases for this component? So, how do take advantage of this awesome sauce you ask? Don’t worry, I hear you. 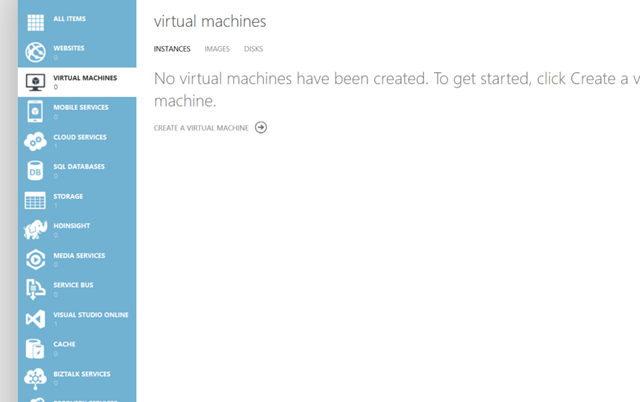 The rest of today’s post is going to be all about the initial configuration and stand up of one of these VM’s. Then scroll down to the image you want to use. 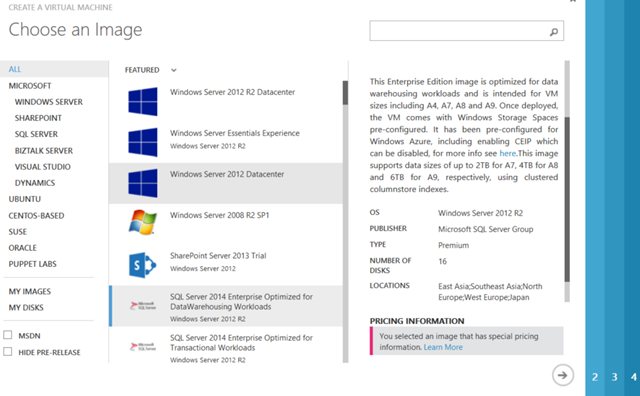 Here we are going to use the SQL Server 2014 enterprise optimized for data warehouse workloads image. Then on the next page, we’ll configure the box by giving it a name, selecting the instance size, and creating a new user. This next page is very important, as it’s where we’re going to configure external connectivity to the machine. 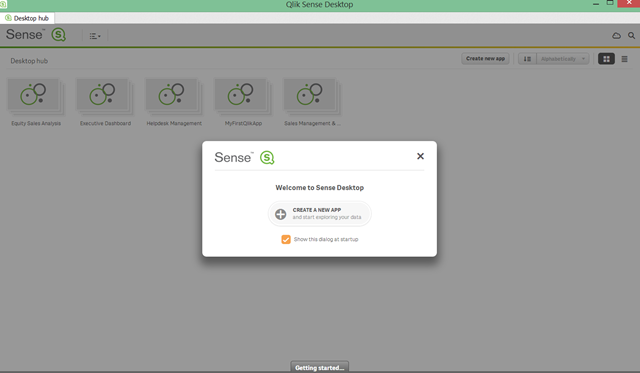 Select “create a new cloud service”, and give it a name. Select the region, and your storage account. 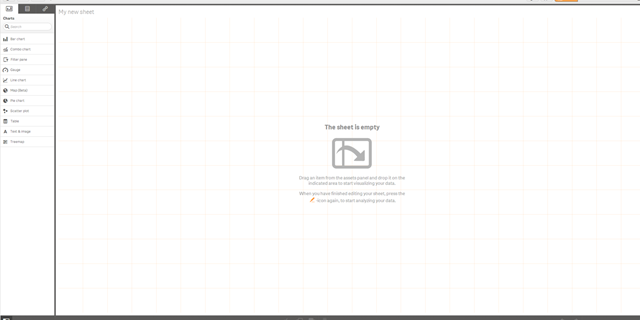 For the availability set, select whether you’d like to configure this VM to be a part of it. If you’re going to have more than one machine (which typically in a data warehouse we ALWAYS do), this is a very important property. Essentially, Availability sets guarantee redundancy in the event of a failure (think of that 99.95% uptime you keep hearing about in Azure marketing). The only way to guarantee this is to use an availability set. Finally, down at the bottom are you endpoints. This is the connections that can be made into the machine. By default, it’s RDP and Powershell. 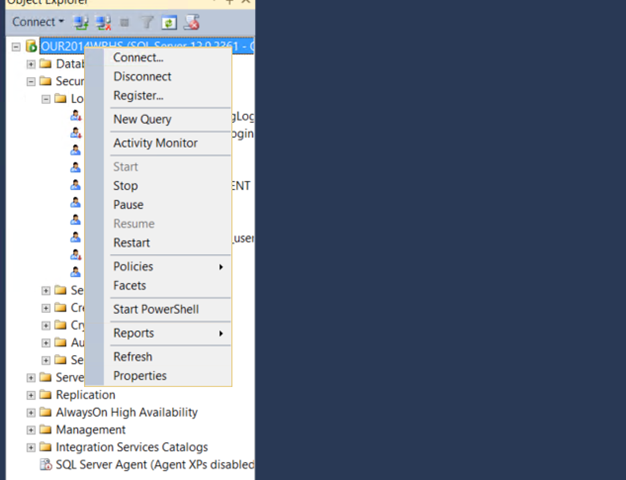 I’m going to want to use my local SQL Server Management Studio to connect, so I’m going to add MSSQL to the endpoints list by selecting it from the dropdown in the list. 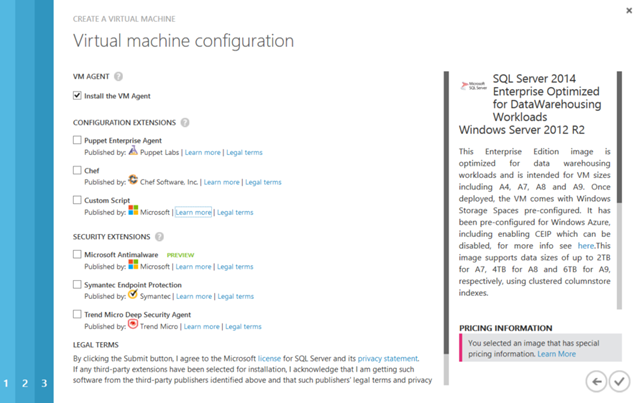 On the last page, select whether you’d like to install any additional configurations on the machine. I’m going to leave mine on the default of just the VM agent, and select Finish. Depending on the size and features you selected, this may take some time. Once it’s done we need to finish our setup so we can connect to our new awesome data warehouse from other SSMS instances. Remote to the machine by clicking Connect, and logging it with the username/password combo you provided earlier. 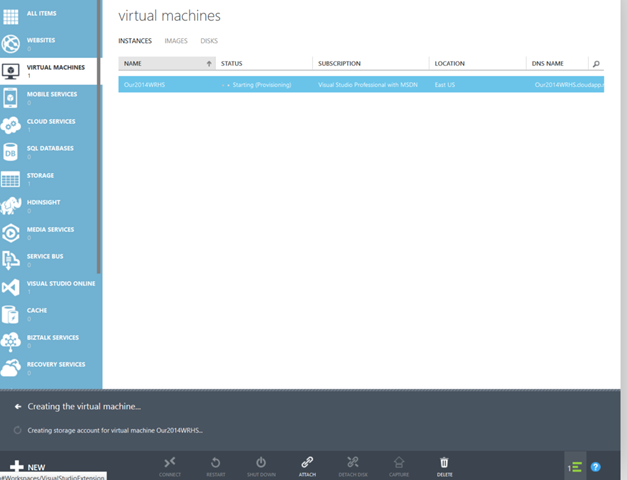 Once it’s open, we need to open the firewall to allow the connections between our machine and the Azure environment. 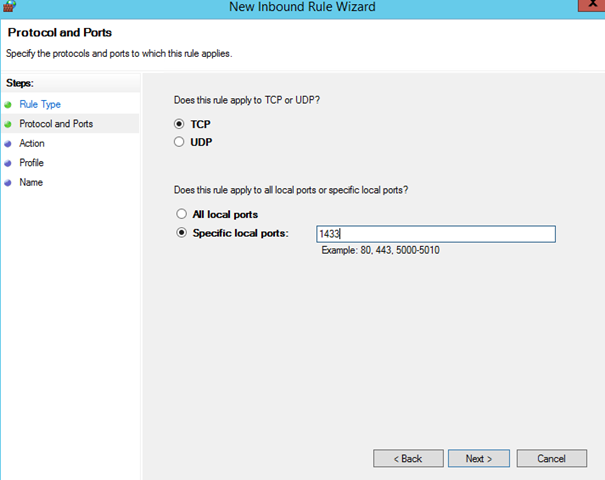 Under start, opens windows firewall (wf.msc) and create a new inbound rule. It will be Port, and the port is the port in the endpoint you specified in the setup (1433 in this case). and select the security tab, Change the server authentication mode to SQL Server and Windows Authentication instead of just Windows auth, and click Ok. 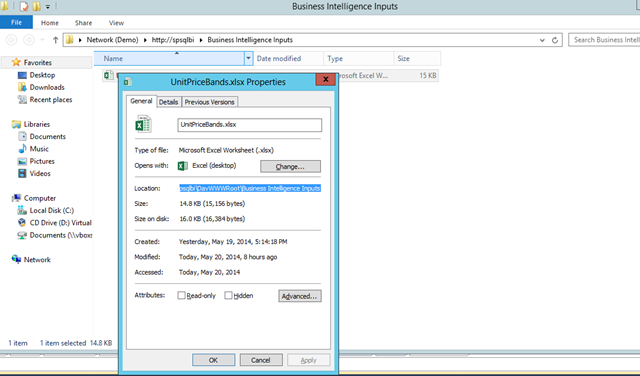 Right click on the server again and select Restart to restart the SQL Server service on the machine. 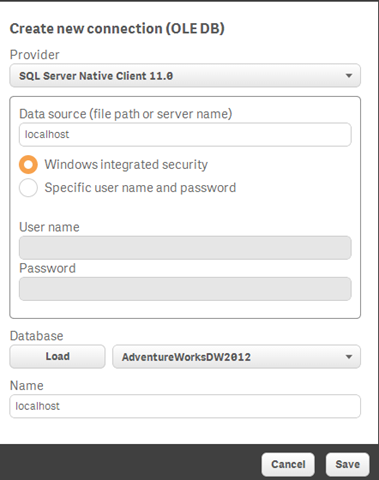 Expand Security, and create a new SQL login for a user, Now, back on your local machine, open up management studio. 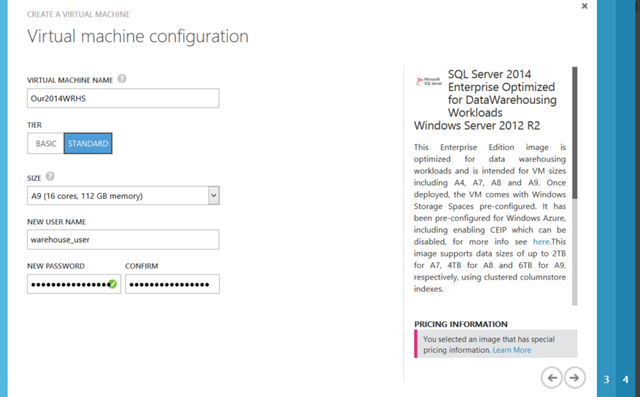 On the connection string, pass in the DNS name of your new Azure VM (myserver.cloudapp.net), and select SQL User Authentication. Login will be the user name/password combo you just created. Today Microsoft released SP3 for SQL Server 2008R2 and SP4 for SQL Server 2008. If you’re running either of these platforms, you might want to go out and grab the installers to keep your environment. As these products are both now in extended support, there will be no more CU’s released for either of these products. However, both of these versions have some important security updates. Details around SP4 for 2008 are available here and details for SP3/2008R2 are here. Once you’ve read through them, go install the SP’s! SP4/2008 can be downloaded here and SP3/2008R2 can be downloaded here. 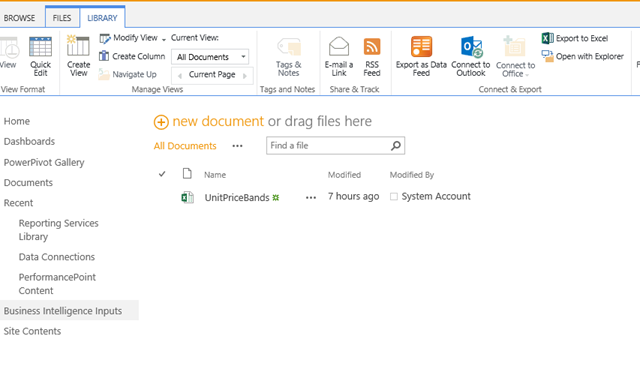 When you select that, your workbook will open up in windows explorer and you can then grab the connection string. Right click on the file, and go to properties. You want to grab the location section, and then add in the workbook at the end of it. Notice that SharePoint files have an extra section in the filepath that must be there in order for it to pull. Copy it, and move over to tabular. 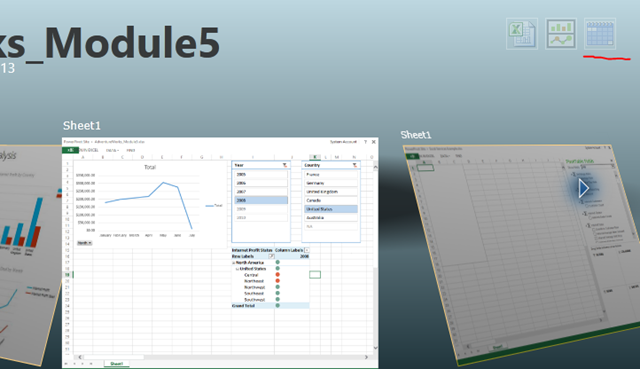 In the tabular model, create a new connection to an excel workbook, and then paste the filepath you just copied in. Click through and you’re good to go. Now when users want to modify groups they can do so easily from within SharePoint, and you’re tabular model can just pull that data through. Awesome-sauce!